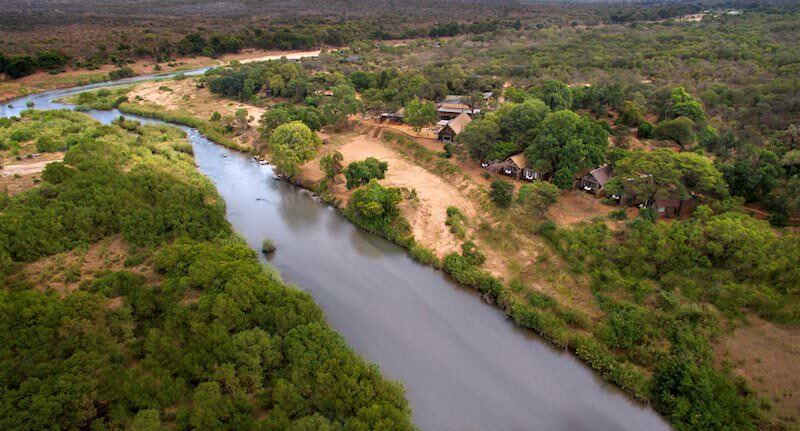 Lion Sands River Lodge is a luxury five star safari lodge on the banks of the Sabie River. 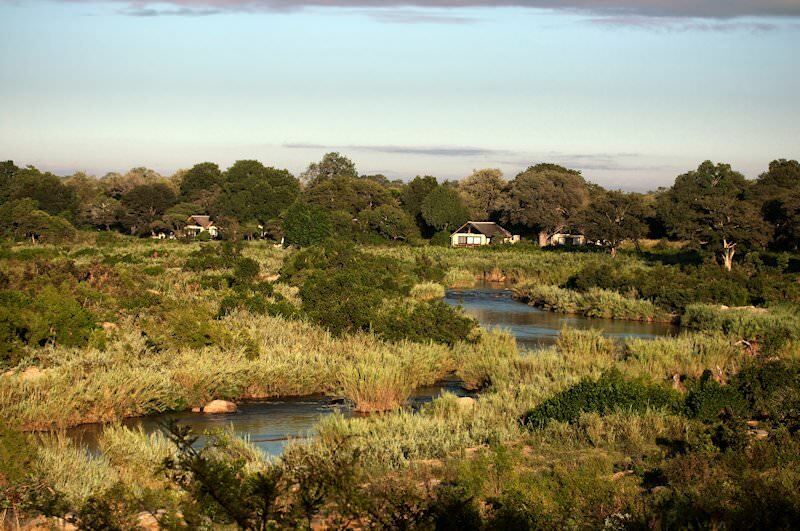 Lion Sands River Lodge is set on the banks of the Sabie River. 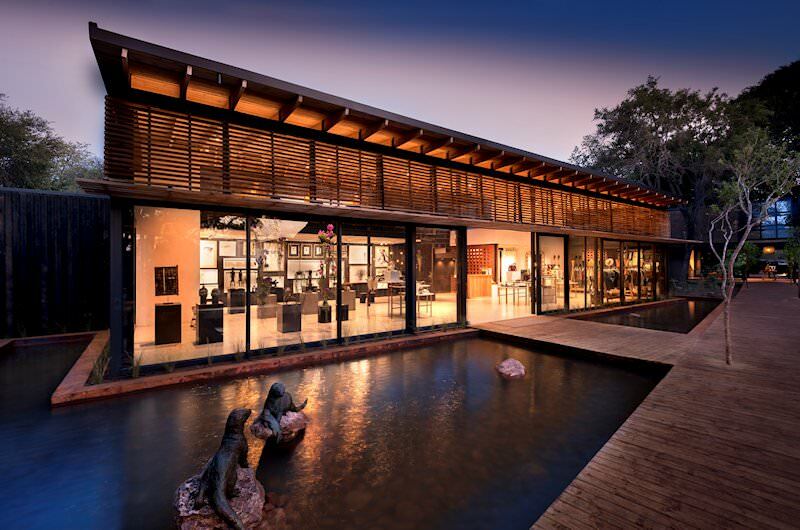 The lodge overlooks the Kruger National Park to the east, with only the river separating the two areas. 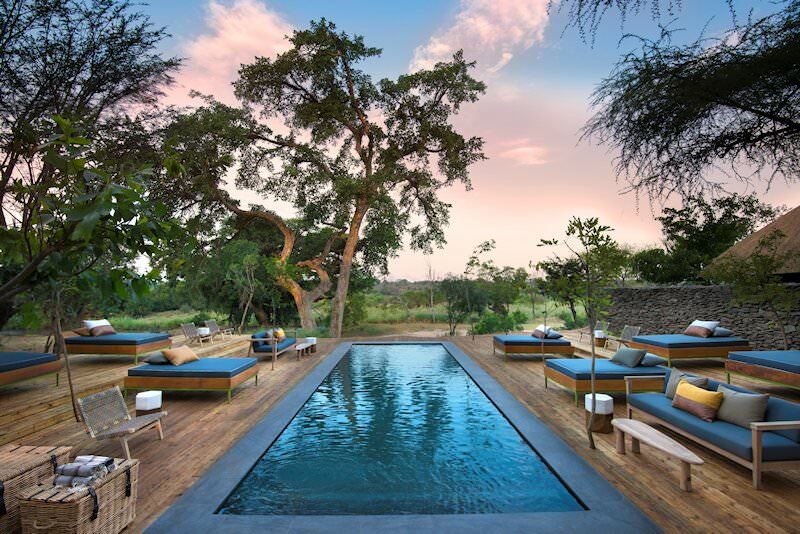 It is located on the privately-owned Lion Sands Private Game Reserve, which is part of Sabi Sand. Sabi Sand in turn forms part of the Greater Kruger National Park. The area offers exceptional game viewing and a luxury South Africa safari experience. This wilderness area has been conserved by environmental visionaries for more than a century. 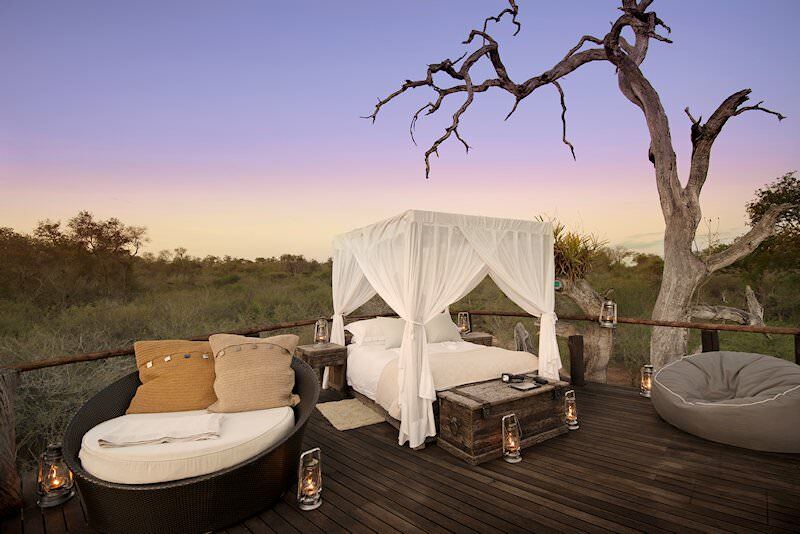 Lion Sands River Lodge offers a total of 18 rooms set under thatch, each with great views of the surrounding bush. The air-conditioned units are well-appointed with en suite bathrooms, outdoor showers, coffee/tea facilities and mini-bars. 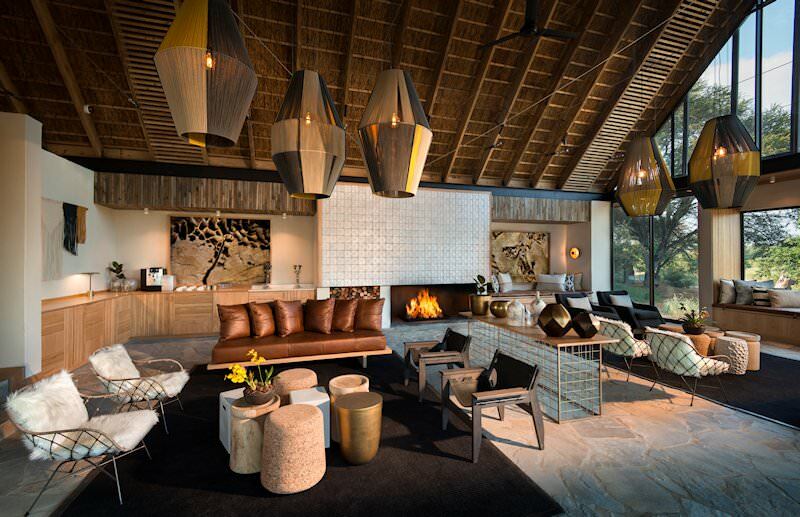 The rooms are decorated in cream and beige, complementing the bushveld colors. When relaxing in the camp, the rooms offer guests their own viewing deck from which to observe the animal and bird life. All suites are connected to the main lodge by wooden walkways raised from the ground. The lodge features a dining room, library, lounge areas as well as a bar. 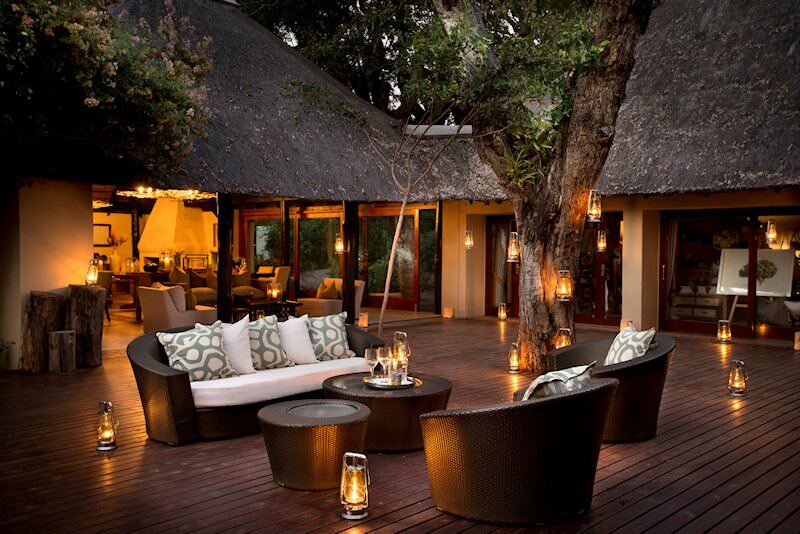 Guests can enjoy a variety of cocktails in the private bar area, or enjoy the fresh air in the outdoor safari lounge. The pools are climate-controlled, ensuring a cool reprieve in the summertime and a warm lull in winter. 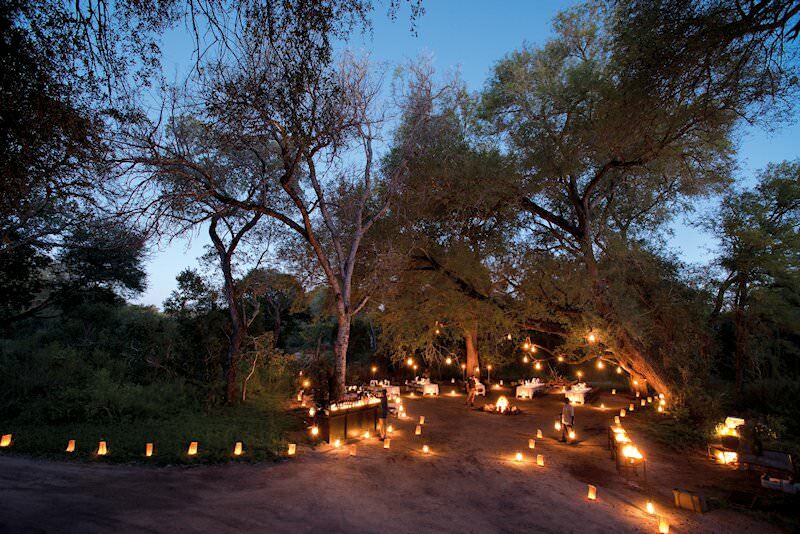 River Lodge offers the perfect escape for your luxury safari in South Africa. 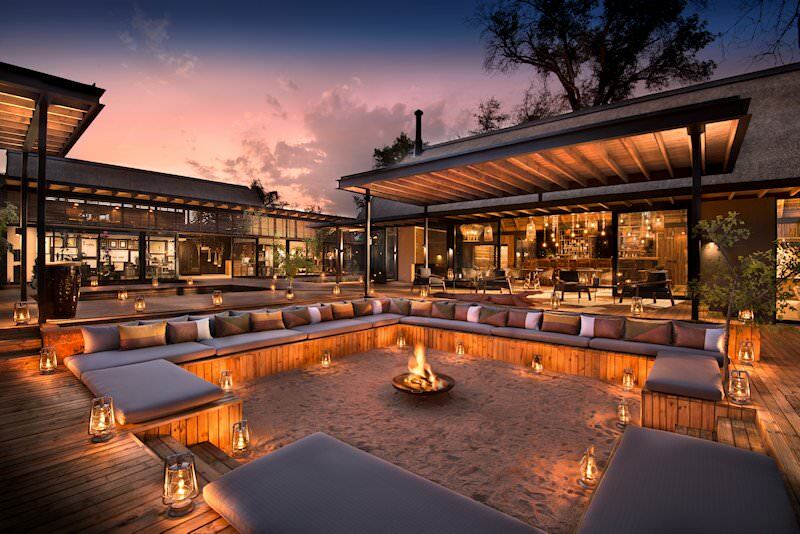 From O R Tambo International Airport in Johannesburg, guests are flown to the eminent Sabi Sand Private Game Reserve in the greater Kruger National Park - the home of Lion Sands River Lodge. This safari package cedes unforgettable leopard sightings and brushes with the Big Five. 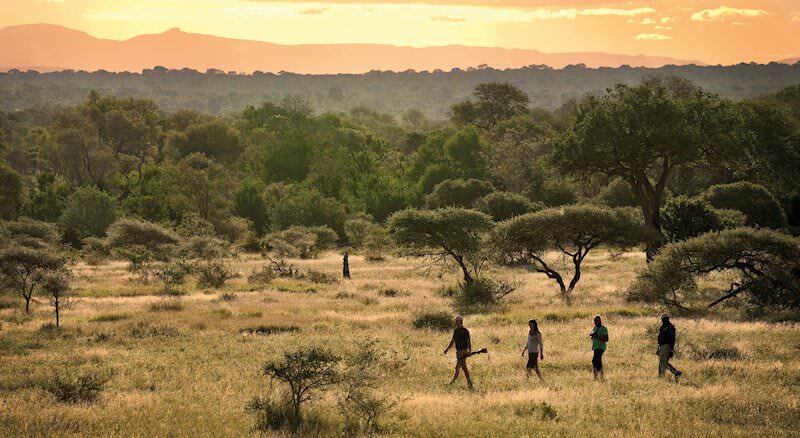 Admire the surrounding wilderness from the seat of your game drive vehicle or opt for an on-foot excursion into the bush. The pool temperatures are adjusted by season, ensuring nippy dips in the blaze of summer and warm lulls in winter's chill. Guests who seek to enhance their South African safari in nature's embrace can relax in Lion Sands' spa with its assortment of signature treatments. 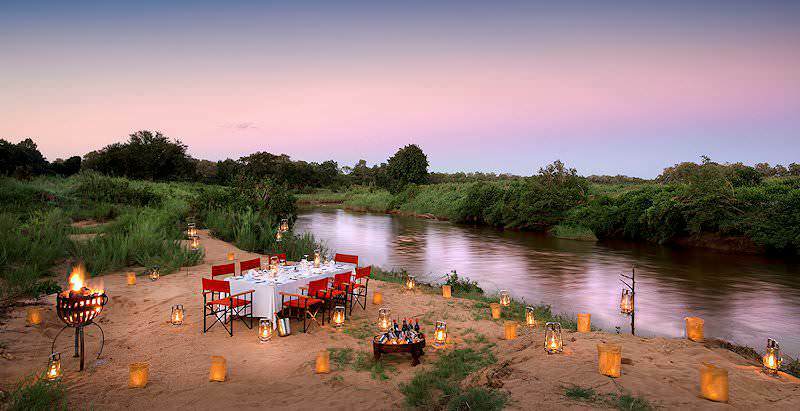 All meals can be relished with views of the Sabie River serving as a backdrop to attentively prepared delicacies. 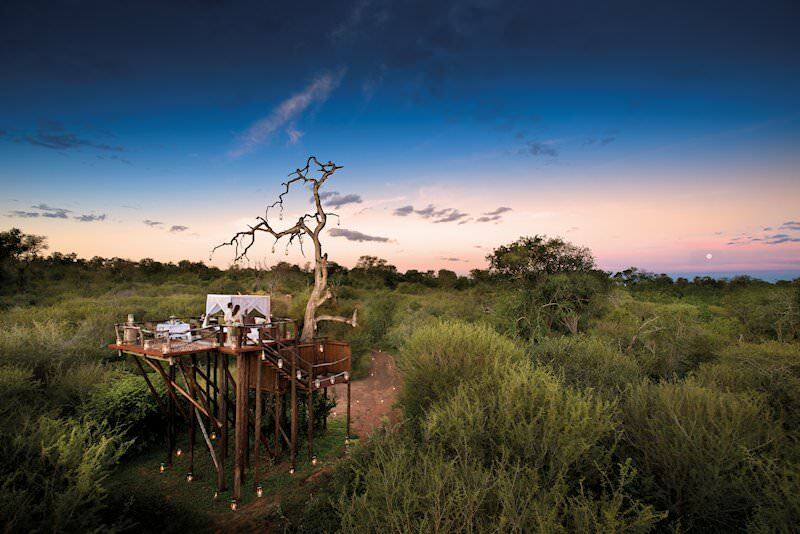 For a truly authentic escape, arrange to spend an evening on the secluded platform of Chalkey Treehouse. Many of African Sky&apos;s clients have stayed at and provided very positive feedback about Lion Sands River Lodge over the years. 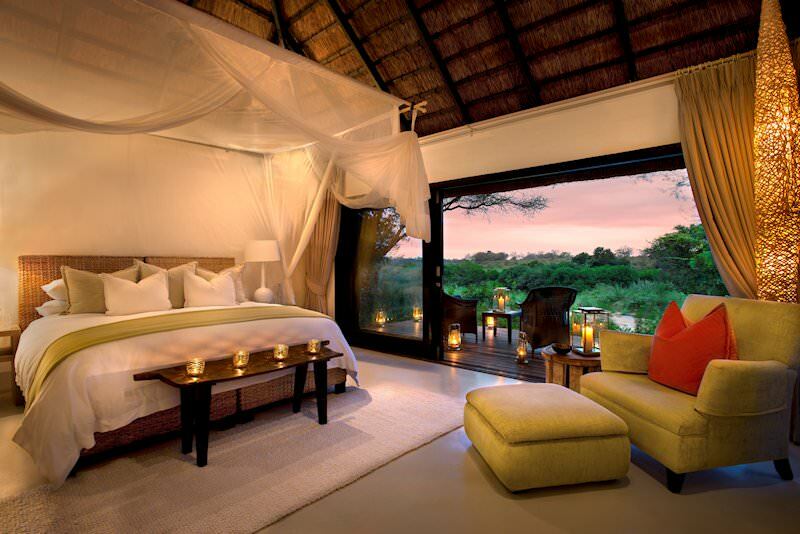 It is a fine five star lodge that offers an incredible Big Five safari in South Africa&apos;s Sabi Sand Reserve. I have personally stayed at the lodge on several occasions, and the only negative thought that comes to mind is that it has slightly more rooms than some of the other five star lodges. Clients for whom this will be an issue should consider Kings Camp as a very good alternative. South Africa is one of the continent's best value safari destinations. Botswana's safari destinations are legendary for their pristine nature. Travel to Namibia for an exhilarating desert-based safari experience. Zambia's top national parks include Lower Zambezi, Kafue and South Luangwa. Travel to Zimbabwe for a dramatic view of the Victoria Falls in the Zambezi River. Mozambique shares an 1000km coastline with the warm waters of the Indian Ocean. The Kruger National Park's diversity is legendary, ensuring exceptional game viewing and memorable safaris. The luxury safaris offered by African Sky transport guests to bewitchingly wild locations sought-after for their game viewing potential. The Big Five are the continent's most impressive mammals, from the might African elephant to the elusive leopard. The African lodges that feature in our itineraries are plush properties carefully selected for fine service and great game viewing.